In 'Stay Cool' Tobias Dostal has created the ultimate opener. A Sunglasses production that instantly establishes you as a magician, and the sheer unexpected nature of something so absurd breaks any sort of tension held by spectators instantly. People can’t help but be both shocked and amused - something just triggers in their brain and all defences instantly go down. 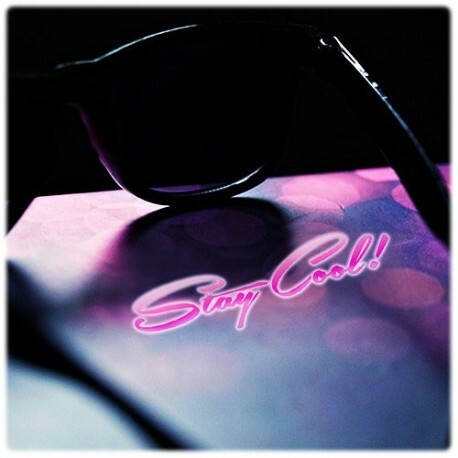 But Stay Cool is more than just a production of sunglasses. Through months of refining and late nights spent with product engineers, we have developed a triple-change that delivers a one-two magic combination. The production of Green Framed Sunglasses changes to Yellow Framed Sunglasses with a wave of the hand. Another wave, and the glasses have changed to Black. The sunglasses may immediately be handed out for inspection - but there’s really no need. Instead, finish your spectator's drink for them, yell ‘Whoooooooo! Deal with It!’ and walk out with a spring in your step. It’s easy to see why Tony Chang calls this his new favorite trick. STORIES - Tony Chang joined us for the filming of Stay Cool in Brooklyn and had a few things to say about possibilities in performance... although we'd recommend you take his advice with a grain of salt. COMMITMENT - The key to Stay Cool is commitment. Like anything in life, 99% of it is about the attitude you adopt. Tony has us in stitches as he explains his ideas on attitude and truly committing to your performance. Tobias spends nearly an hour teaching variation after variation for the Stay Cool production, with inspiration taken from classic comic legends - everyone from Buster Keaton to Marcel Marceau. Filmed in the Ellusionist HQ Brooklyn Studio with live performances shot during the Open-to-the-Public Studio Party, Stay Cool contains everything you need to absolutely OWN any room you walk into. Add a pair of shades to your cart today.